After performing a search in OneSearch, you will be presented with a list of results including books, articles, journals, and videos. If you have a large number of results, it is helpful to narrow down your search results. On the left side of your search results are a number of filters you can use to refine your search (see image). 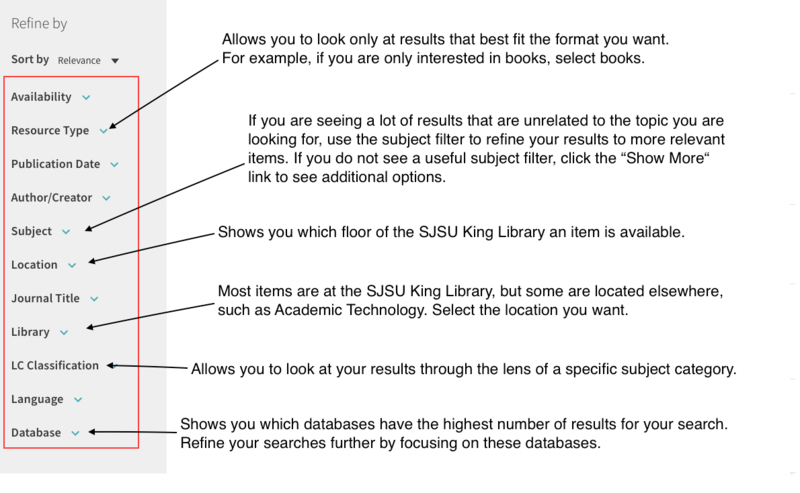 Below is a description of the available filters, please note that not all searches will provide all these possible filters. Sometimes you select a filter that is unhelpful in refining your search. To delete a facet, look to the left to find Active Filters. Click that x and it will delete that filter.